The walk was a good chance to chat with David and hear more about his life and his heart for his community. I love opportunities to stay in our communities, to really get a deeper understanding of how our children and families live in these communities, and what particular challenges that each community face. David has been a Pastor in his community and leading the local Community Based Organisation caring for our children for many long years now. He started the work because he hated to see children and families in his community suffering, and just knew he needed to do something about it. David has 9 children of his own (including 2 sets of twins!) 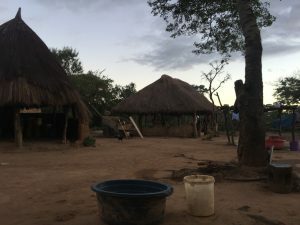 and is pushing so hard to support each of them to get an education, so they can find jobs and not have as tough a life as he has had, trying to survive off the land in a rural village. He is also advocating so hard for the most vulnerable children in Baraka to receive an education also, and he and some of the care workers in Baraka are personally sacrificing from their own lack, to pay school fees for some of the most vulnerable children to ensure they don’t miss being able to attend school. I was most struck by the way he is challenging and equipping the families in his own community. He shared openly of the blessing and encouragement to receive Mzungu “white” people to the community, but also the challenge it creates in terms of the “hand out” mentality. The assumption of white visitors is that they bring money. And the community expect to be given it. I paraphrase David’s thoughts and challenge back to his community on this – We can’t expect things to be given to us on a silver platter. We have to work hard. These people from outside sacrifice and give money to care for our children. They even faithfully pray and know our children by name. How much more should we as a community be down on our knees and faithfully praying for our children and our community. Love this attitude and passion to empower his own community! We sat around the cooking fire that evening as the evening meal was being prepared, sharing stories and getting to know David’s family. His wife came home very late (much past dark). 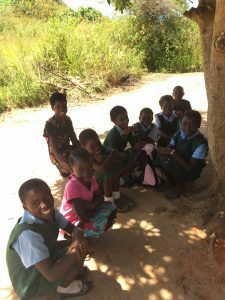 She had left home very early that day to walk hours to the local clinic outside of the community, as she was suffering from Malaria and needed to start treatment. She was told to wait at the clinic for the whole day as the clinic had no medicine but were expecting a delivery late in the day. The delivery never came, and so late in the day she was sent to walk back home again, still suffering, with only some Panadol. An all too common picture of the lack of medicines and treatment available in local clinics across Zambia. (We made a plan to help get some medicine and she was able to start treatment the next day). And yet in her sickness, she still assisted to care for us so well in her home. True sacrificial living. They killed and cooked one of their Village chickens for our supper – delicious! I am always so humbled and challenged by the generosity I am embraced with anytime I stay in one of our communities. They always give of their absolute best. The rains have come in Baraka this year, although they look like they may be drying up a little too early just yet. The soil in this community, is white sand. Very infertile. Walking around the community you can see the blatant distinction between crops that have had fertiliser and those that have not. It will again be a tough harvest for many of the most vulnerable families for which fertiliser is out of reach. For the rains to continue for a few more weeks so more crops can come to maturity. Pray for our most vulnerable families who will have a poor harvest, that the community and church in Baraka will rise up to help provide for their needs. Pray for the children of families who are struggling to pay for school fees, that God would provide a way. Pray for our Care Workers who walk long distances to visit our children (even crossings streams at this time of year!) that they will be strengthened and encouraged to continue strong in this ministry. Many in this community are suffering from Malaria at this time, it has been a tough season for outbreaks of the disease. Pray for healing for those affected, and that local clinics will have the resources and medicines to treat those who are sick.